With historic attractions, art galleries, over 3,500 acres of parks, and four gentle yet distinct seasons, Winston-Salem is an attractive place to live and own a home. Keeping your home beautiful is the best way to make your home welcoming and comfortable. As a homeowner in Winston-Salem, there are many choices when it comes to spending your decorating dollars. One of the wisest investments that will bring beauty, functionality and energy savings to your home is high quality window fashions. Conveniently located in nearby Greensboro, A Shade Better, is the place to find the best selection of high-end window treatments available. At A Shade Better, our staff is professionally trained and certified by Hunter Douglas. Established in 1989, we were the first Hunter Douglas Gallery dealer in North Carolina. We can offer you expert product knowledge and design expertise. Laura Lister and Cheri Johnson are our resident professional designers. They are on staff and available to assist you with all the best information to help you make the right designs to best compliment your home. Since being founded in 1919, Hunter Douglas has been dedicated to offering premium products and complete customer satisfaction. They are known for on-going innovations in engineering and industry advancements in manufacturing and distribution. They are industry leaders in distinctive and proprietary window covering designs. Their legacy includes the creation of entirely new and award-winning window coverings. Hunter Douglas designs their window fashions to balance everyday practical needs with high quality and distinctive beauty. A Shade Better specializes in Hunter Douglas shutters, along with several other high-end shutter brands. We offer a wide selection of styles that will bring a distinct style and sophistication to your home. Heritance Hardwood shutters were named, “Product of the Year” by the Window Covering Manufacturers Association (WMCA) in 2014. Their plantation style shutters are manufactured with premium wood and dovetail construction providing unmatched strength and durability. Finishes such as glazed, heirloom distressed, textured and rustic, mean there is a color and texture to suit any décor. Their newest, Handcrafted series, are custom built to order (like all their shutters) with the elegance of genuine wood and artistic flair. A Shade Better also offers many gorgeous shade options. We carry the complete line of Hunter Douglas shades. They have defined the industry with proprietary products that offer pioneering style and state-of-the-art functionality. Hunter Douglas Silhouette and Luminette shades are offered in many colors from intense hues to natural neutrals. Hunter Douglas Cellular and Pleated shades are created in rich fabrics that are consistently recognized for excellence in energy savings, design, styling, enhanced safety systems, quality and selection. Almost 50% of a home’s energy is lost through its windows. Hunter Douglas has engineered innovative, energy efficient window fashions that can significantly reduce energy loss and save on heating and cooling costs. In turn, this contributes to protecting our environment. The Hunter Douglas Duette honeycomb shade was developed with this in mind and was completely revolutionary at the time. The trademark honeycomb construction traps air inside the cells to keep your home warmer in the winter and cooler in the summer. You will also discover a unique selection of beautiful blind options at A Shade Better. They come in a range of styles including wood, faux wood, metal and vertical blinds. We carry our own American Classic line in addition to the Hunter Douglas brand. Blinds provide enhanced privacy while also adding texture, color and beauty to your space. Our stylish blinds can be used as an under treatment, but they are attractive enough to stand on their own with a simple valance. With so many styles and materials to choose from, our blind selection is sure to compliment every design taste and budget. In 1946, Hunter Douglas first introduced Venetian Blinds. Over the years they have become a design classic for windows. The enduring charm of Venetian Blinds is found in their versatility with precision control of light intensity and direction with the easy twist of a wand or pull of a cord. This technology now comes in high quality materials and dozens of colors, finishes and slat sizes for countless combinations that can easily match your decorating style. Come in and visit the A Shade Better showroom and see our beautiful window fashion for yourself. We are located at 3912 Battleground Avenue in Greensboro. We can be reached at 336-282-8880. Our hours are Monday-Friday 8:30 a.m. to 5:30 p.m. and Saturdays from 10 a.m. to 2 p.m. Our expert design staff would be delighted to meet you and let you see firsthand the quality and beauty of our products. We can acquaint you with many different styles and work with you to find the perfect window coverings to suit your design expectations. You can also request more information or an appointment by completing the contact form on our website at www.ashadebetterblinds.com. 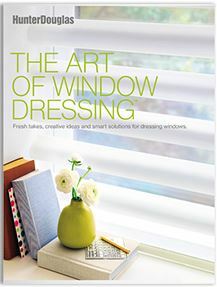 Come and find out more about how the beauty, functionality and energy efficiency of high quality window fashion can enhance your Winston-Salem home.